I don't think anyone has hinted at selling Ozil, I know I haven't. But the truth is that overall the team had a poor season. Certain players had below par performances throughout the season. Ozil is the only player that plays CAM. Who's his competition? Kaka? yea i knw you werent saying that we should sell him. was just saying generally, thats how madrid supporters are and the reaction to under-performing players. but yea, modric is no good in that position, he not even better than kaka there, and thats not even a joke. but if isco comes both him and ozil will play together. which is good because it will take some weight of ozil as the main playmaker because he has to do everything. He's had no help from his midfield at all. Agreed. Modric at CM on form is a beast though..
Godric needs to stay away from CAM, let Ozil and Isco fight for that spot. Isco? Also come this week? Has great potential to be a player of Real Madrid because he wants to be in Madrid and Madrid also want it. Will the Galaxy this season? Let it be clear that I never used that word with any player. Isco is one of the greatest players of Spain and the coaching staff understands that is of sufficient quality to be in Madrid. No, but I know that the player is very excited to come. The same that makes me come. If all goes well, soon announce his signing. Always after coach. Sounds great. Not sure what formation Peacemaker goes for, But I would love to see all 3 playing together: Modric, Isco & Ozil. Real Madrid president, Florentino Perez just confirmed the signing of Malaga and Spanish U21 star, Isco. In a statement to RNE (Radio Nacional), Florentino, who officially presented new manager Carlo Ancelotti and new assistant manager, Zinedine Zidane earlier in the afternoon, officially confirmed the signing. Florentino did not provide any specific details, but had admitted that the deal had been finalised but the president was waiting to officially appoint Ancelotti before announcing the transfer, or any others, publically. 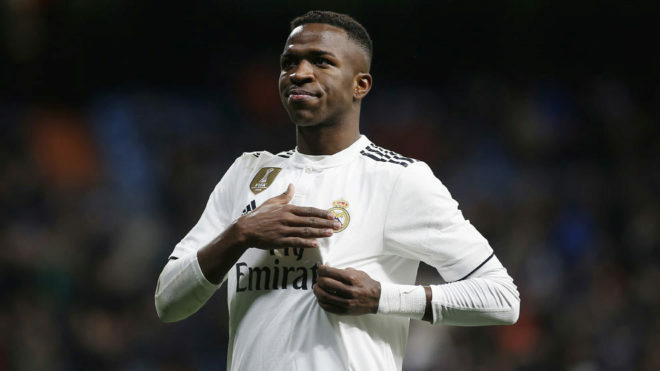 Florentino went on to add that the 21-year-old will officially join Los Blancos and be presented next week, following his medical. However, Florentino did not detail the amount of the transfer fee, which is rumoured to be anywhere from €25-30 million. Isco, who Florentino admitted was “one of the best Spanish footballers” made 69 apperances in his two years at Malaga, where he played a fundamental role in last season’s Champions League success. Now official. 5 year contract and apparently cost 27m Euros. Add 6.5 and 1.5 (Casemiro and Carvajal) with that and you get what Isco would have been worth. Pretty nice ball control and dribbling in tight spaces, resembles Iniesta IMO. Real Madrid welcome one of Spanish football’s best players into its new project. Francisco Roman Alarcon, Isco (21/04/1992, Benalmadena, Malaga), will play at the Bernabeu for the next five seasons. The overlap, imagination and speed are some of the qualities that define this midfielder, winner of the 2012 Golden Boy award, recent champion of the European Under-21s Championship with Spain and at 21 years old a player that has already made his debut with the senior team. The 2012/13 season was the season in which Isco confirmed his arrival. A leader at Malaga that reached the quarter-finals of the Champions League, in which the new Whites’ player scored three goals, the Andalusian dazzled a few weeks ago in the European Under-21s Championship in Israel, where he scored three goals and was instrumental in Spain lifting the trophy. Talent, the thing that led him to being chosen by the Tuttosport magazine for the 2012 Golden Boy award for being the best Under-21 player in Europe, is the word that best defines Isco, who is a player with enviable technical ability, brazenness and imagination, the qualities that led him make his debut with the senior Spain team (in February this year in a friendly against Uruguay). Isco's progression has continued in recent seasons. On 1st November 2010 he made his debut with Valencia’s first team in a cup match against Logrones, in which he scored two goals. Three days later, he made his First Division debut against Getafe and, at the end of the 2010/11 season, he signed for Malaga to go on to lead the Andalusian club’s best period in its history. In his first season he played 35 matches and scored five goals and in his second he consolidated himself as a star player and made 45 appearances, scoring 12 goals (nine in the league and three in Europe). At 21 years old Isco joins Real Madrid, where his talents will be made available to the project lead by Carlo Ancelotti. Anyone know what number is he going to be? Gotto order the jersey soon. Bale will wear 11, Isco will probably take the 22, considering the rumours about Di Maria leaving. Number 5 hopefully should Corentrao move. I'm conflicted over the signing. Love the player - and I think of the marketable options (Bale, Neymar) he is the one that can most fulfill a pressing need. However if he is not used properly and given the room to develop that has been severely limited in previous seasons - I fear it will be for the worst. I'm not saying he should leave/or be sold. Especially if he can fit into Carlo's plan. He's a great player and has proven his quality several times with us. I'm just hinting that if he were to leave, his absence wouldn't really affect us in any way. sig bet over bale's arrival? you think real madrid will just sit and watch and do nothing while barca bulk up with neymar and co. ?